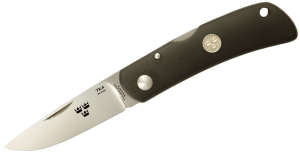 The TK4 series knife has been described variously as the ultimate bush craft knife as well as the perfect solution for a camping trip due to its versatility and adaptability. It is a small yet busy workhorse with clean lines on the blade which emphasise its lightness as well as its strength. The design of the blade also makes it ideal for use as a striker to start a fire by using the back part of the blade even when the knife is actually in a closed position – a pretty revolutionary technique. The knife’s handle is slim and is made from a rigid composite Zytel which is actually a thermoplastic polyamide. This material apart from being lightweight and very strong is also completely resistant to corrosion and other solvents. The TK4 uses the revolutionary laminated anti corrosive VG2 steel on the outer layers of the blade while the inner part is made of the SGPS steel which gives unbearable strength and durability. The steel’s hardness of 62HRC surely comes among the first in line for edge retention which is described as unbeatable by Fallkniven. The blade also has nail nicks on both sides of it thus making it completely symmetrical and thus easy to handle for both right and left handed users. Fallkniven’s tried and tested locking mechanism ensures that the blade fixes securely in an open position. 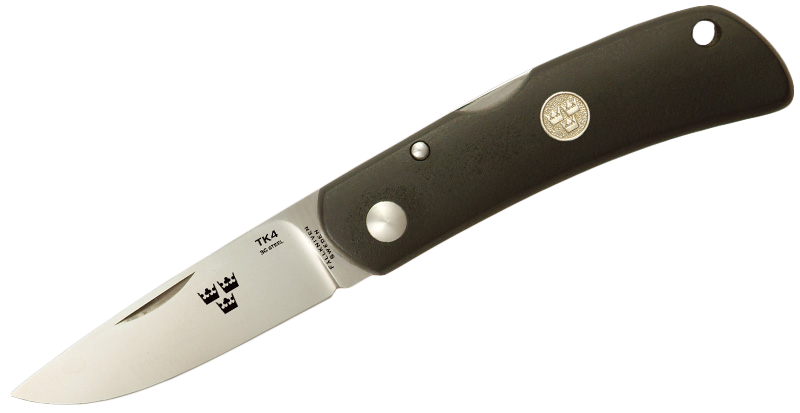 With the classic Tre Kronor design, the TK4 is both lightweight and safe apart from exuding a rugged beauty. You really cannot go wrong with this rather excellent knife. It also comes with a Black cordura sheath that is very useful to carry the knife along in harsh environments.